Are you filling your Article Eggs with value? I was talking to my 6 year-old daughter yesterday about this weekend’s egg hunt. She was sharing her excitement about finding brightly-colored plastic eggs and not knowing what each egg might hold until she pops it open. Maybe it holds a piece of candy, a few coins or a small toy. Or maybe, just maybe, it holds the BIG prize. That got me thinking about how searching the Internet for valuable information on a particular subject is sort of like an egg hunt. You search through cyberspace using keywords and phrases until you spot some promising looking links hiding in the search engine results. You pop one open with a click of your mouse in the hope that it holds the BIG prize. Typically, it holds a small prize. So you click again. And again. And again. Popping open your metaphoric eggs in an attempt to find the elusive BIG prize. Sometimes you find it… sometimes you don’t. As an Expert Author, YOU are the person filling those metaphoric eggs with your niche articles and putting them out on the Internet for your readers to find. Bring joy to your readers by filling as many article eggs as possible with the BIG prize. Make your article eggs easy to find by cross promoting them all over the web. The more article eggs you hide, the better the chances are that one of your eggs will be one your reader finds. Make your articles stand out from the background by painting them with the neon colors of a great title. Turn the resource box into a map that helps readers find even more great prizes from you. Remember, if your reader finds the BIG prize in your egg, they’re probably going to stop looking for other eggs. Give your readers a basket full of your article eggs by pointing them to your Expert Author Page or by putting a widget on your website. Put an extra prize in your article eggs Ã¢â‚¬â€ like a free downloadable report or an excerpt from your book Ã¢â‚¬â€ and watch their eyes really light up… metaphorically speaking. I like it.. the idea of finding a ‘prize’, something unexpected. What irritates me about some sites is that they promise things and give you nothing.. but a pitch. I recently signed up for two like that and got ‘nadda’. What they hey? I also feel irritated when I go to a link and their sales pitch goes on forever. I know that is maybe how it is done, but woe.. it just feels so typical now. I think people should be more creative with that effort. When I see those now, I just think forget it. All of this does remind me that I probably need to consider another ‘gift’ to offer, an Ebook or something, but I sure am not going to offer it with a catch. Ewwe. The catch is merely a good feeling on both ends and that IMHO resonates better with the recipient and even in me. Thus they will come back to read what I have to say or view my art. I never really thought about it that way, but that’s a good analogy. I’ve read so many articles that really didn’t say anything, or really didn’t answer my questions the way it was supposed to (based on the title). Article writing is about the give before you get principle, but it is crucial that you give something good if you really want your articles read. Have a Happy Easter, and I hope your daughter gets lot of goodies. Yes, find the right egg to egg you on! Boiled, scrambled or omelette? I think that depends on the expert author! You all make egg-cellent points. Glad you’re enjoying the analogy – my daughter’s first official contribution to EzineArticles! Nothin worse than a rotten egg I must say. Now, let’s talk about how we deliver those eggs. Specifically, how long it takes for a typical EzineArticles page to load. I timed it a few times and it typically turns out to be between 5-8 seconds. What good is a delicious egg when it comes to your table late? We had joy, we had fun, we wrote articles until the 100/100 challenge was done! Happy Good Friday. 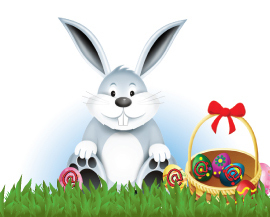 oh, boy, does that mean that i (and all my EzineArticles expert buddies) am (are) the easter bunny? that’s pretty fun. gotta hop, eggs to tuck away! Very good points. Encouraging the reader to visit your site based on your content and quality of your work is far superior to annoying the reader by promising the world and delivering frustration. Well said! As an audience, I often find the mis-match between the Article Title and the Article Content- they just don’t match in many cases! The trick of getting many clicks by misguiding with Article Title just doesn’t work, as the bounce rate also increases significantly.